Prague Elopement Wedding Photography Special! 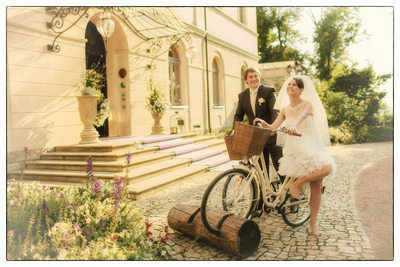 7 professional wedding photographers from around the world have chosen Kurt Vinion for their wedding day celebrations. Kurt's specialty: capturing authentic moments - artistically & unobtrusively. Choosing a photographer is more about budgets, it is about finding someone who is responsible and dedicated to their craft. It's also about finding the right person to share those incredible moments with. Choosing the right person should add to your experience - after all it's not just about the photos. How much are you willing to pay for amazing memories? My name is Kurt Vinion and I am a Prague based wedding & portrait photographer. American by birth, I feel very European as I have spent most of my life here. A very proud father of two and a cheerful perfectionist (and fiercely competitive) by temperament. I strive to be the best photographer you can get. I smile a lot as I am one of the lucky ones who works at what they love. My love affair with photography began in high school. I always wanted to capture real moments that inspired me, that moved my soul and yes, to create art - art that captures the human experience in all it's glory and yes, tenderness. Thankfully I was accepted to the best photojournalism program in the United States. A few years later (after 5-years as a DOP at UofL Athletics) I was capturing heart breaking reportages and social documentary projects worldwide. The subjects I immersed myself in were the darker corners of our human existence and when I became a father it profoundly challenged my thinking and my focus. Instead of being surrounded by misery I felt compelled to focus on something much more profound; those beautiful, happy moments that make up our human existence. Being flown half way around the world to capture a friends wedding in my 'reportage style' led me full-time to weddings & creative portraits. To be invited to capture these special days full of smiles, laughter and the promise of a better tomorrow is something I never take for granted - I am just too emotionally involved with capturing something so beautiful. And yes, after 10-years of working as a wedding & portrait photographer I am still so excited that I rarely sleep the night before a big wedding. Though many call this a 'job' - I call it my calling. My approach to wedding photography is simple, to work in an unobtrusive, documentary style and yes, with an artistic & creative flair. I am especially keen to capture authentic moments of happiness, humour and those intimate moments that turn photographs into cherished life long memories. I realize that staging every photo - or art directing everything is the new norm and to be honest - this is not reportage or the kind of photography that interests me. The moments that couples are always fondest of are the ones that are real, unplanned and unscripted. Clearly this takes a lot of focus and patience to capture and this is something I strive to do. As I work with many couples from Asia (crafting their stylish and art directed portrait sessions) I can also pose and art direct like the best of them. So no worries, we can certainly create those stylish portraits and would be quite happy to. And lighting, yes, this is really what pushes me over the top in comparison to my friends and colleagues in Prague. My on-location lit (studio lighting gear) or 'strobed' portraits are highly sought after for a reason - they ooze class, sophistication and an especially timeless & expensive look. Irregardless of the lighting conditions or locations - I always bring back beautiful images - something not possible with those 'natural light photographers'. In my dealings with clients I am painstaking about the details, but not a pain. In fact, I like to think with my relaxed & calm persona that I am a pleasure to deal with (at least this is what my clients say). And yes, I am honest to a fault, though careful of peoples emotions and sensibilities. Being based in Prague allows me to easily capture weddings and special portrait sessions around Europe. 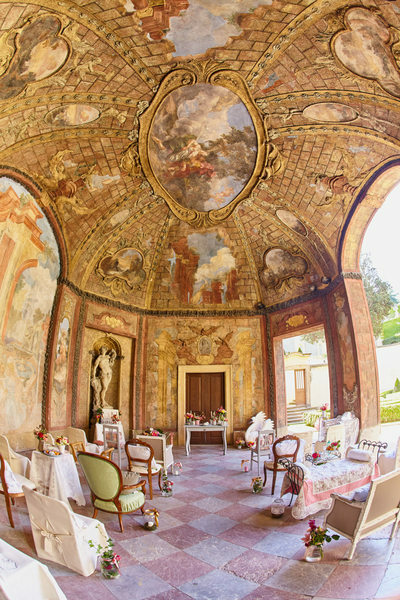 Italy is one of my favorite locations and the weddings I have done in Rome & Tuscany for the Getty Family (Getty Museum, Getty Foundation, Getty Images) and the Karzai family (former Pres. of Afghanistan) were mind blowing experiences to say the least. 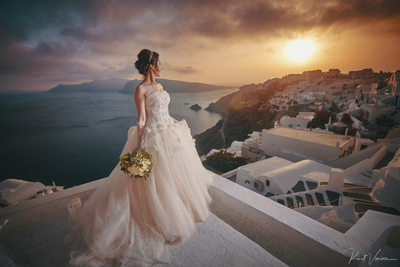 There was also that very special wedding I captured in Santorini with the sweetest & happiest couple I have ever photographed - their images always brings a smile to my face. What a wonderful time that was! Yet some of my fondest weddings run the gamut of a small village wedding in Poland (with lots of funny, crazy moments) to lavish London affairs (the Syon House and it's incredible staff truly set it apart) to castle & chateau weddings all over Europe. Plus capturing the beautiful weddings of my fellow wedding photographers are personally very rewarding. If you can make a wedding photographer cry - you are doing your job exceptionally well. And Asia: the Peninsula and Hotel Intercontinental in Hong Kong set a new standard in every way - a region I plan on visiting and working more in as I love the cultures there. Truth is, with the right couple I am willing to travel anywhere in the world to capture those incredible moments that will be cherished for a lifetime. If you want to see how badly I update my blog (I try, I really do) you can visit me here. If you wish to get started on discussing what I can for you, just contact me. I would enjoy speaking with you. PS: I am a military 'brat'. One of the things that was always stressed in our community was 'military families take care of their own.' I still believe strongly in this. Interested in seeing some of my awards for wedding photography and portraits? Interested in what some of my clients have said? Check out some of my reviews. My wedding photography has been featured in countless magazines, blog sites and marketing campaigns. The couples I have worked with have had their weddings featured in: CS Luxury Style, Engaged Magazine, White Weddings, Good Morning America, BBC, Conde Naste, Wedding Magazine (NZ), Gay Wedding and Marriage Magazine, as well as many websites and blogs worldwide. And no worries, if you do not wish to have your images in the public domain we can ensure that too. Formerly the Director of Photography / Asst. Sports Information Director at the University of Louisvlle Athletic Dept. Kurt was also a member of the Kentucky Derby as well as Breeders Cup official photographers team. In addition, Kurt worked with the Muhammad Ali Foundation in Louisville and was a stringer for Reuters covering sports. After moving to Europe to take a position as a photojournalist, Kurt later became a contract photographer for Getty Images, Orchard Photography and Wire Image and freelanced for many magazines covering social issues and reportages as well as celebrity portraits and news. In 2007 feeling burned out, Kurt returned to Prague to focus on running his own portrait and wedding business - where capturing happy, real people and making images that will be cherished for lifetimes to come is his goal. Engagement photo sessions or commonly called E-Sessions or 'Love Story Sessions' focus on capturing each couples personalities and those moments they share as they explore this city in a natural, non art directed / unposed way. Usually the couples are dressed in normal attire (not wedding dresses, tuxedos or evening wear). No lighting gear, no assistants just the two of you and Kurt. There is also very little to no retouching done to the images. As these sessions are usually the two of you and your photographer, they are fast paced with minimal equipment. And no worries, if you wish to have some advice in posing and where and what looks great that is not a problem and welcomed. Pre Wedding Portrait Sessions is an Asian concept that tends to be completely art directed / mini fashion / editorial shoots that usually have a lighting crew of 1-2 assistants, lots of lighting gear (soft boxes, beauty dishes, gelled lighting), extra camera gear (2-3 bodies, 6-8 lenses: fisheye, macro, zooms, & specialized lenses such as tilt-shift and 'bokeh monsters') and a full hair & makeup crew. The pre-wedding sessions are slower paced with lots of art directing and posing and on-location lighting set ups. At one time the style of Asian pre weddings was very stiff, and the stand in front of a famous location and look in to the camera was quite common (and still is in some parts especially with the budget photographers) but now these pre wedding Asian sessions have become increasingly artistic oriented and each year the styles, dresses and locations are becoming more grandiose, elegant and over the top with props, locations and lighting. As these sessions become increasingly more popular the western world is taking note and we are now seeing many clients from North America and Western Europe wishing to have the same style. We are also seeing many couples who have had the big wedding elsewhere and are coming to Prague with their wedding clothes with the idea of having a session created in this style. These Post Wedding Sessions / Honeymoon Sessions / Anniversary sessions are also priced the same as the Pre-Wedding Portrait Sessions. Though many of the images in my Pre Wedding Portrait portfolio look and feel 'natural', these sessions are almost always art directed where everything, hands, body position, lighting and composition are controlled to create the most pleasing look. Additionally as these sessions take more time to create in post processing - they are priced considerably higher. Photographing weddings & portrait sessions is my full time job. When I made the decision to leave photojournalism I made a commitment to doing this full-time. As such I have 10-years of experience recognizing what will work and what will not for a particular venue, location or couple. I am known for putting people at ease when I photograph them so no ego, no stress. My goal is to provide each couple with only the very best. For each hour depending on the coverage it is not uncommon to receive 30-50 images per hour. These are the very best pictures taken on the day of and each will be individually corrected and presented in color. For couples who wish to have a more vintage look I would be happy to create this look as well. Will you photograph family & group shots? Absolutely. This is a wonderful time to capture family & group shots and as a photographer I can understand how important these images are. We will be spending lots of money on the interior design and capturing details is quite important - do you do this? Absolutely. I think when it comes to creating a document of your wedding day capturing the small details is very important. Everything from the ring bling, to the table & interior decor - literally every aspect of your wedding day should be captured and naturally you can decide what to keep for your book. 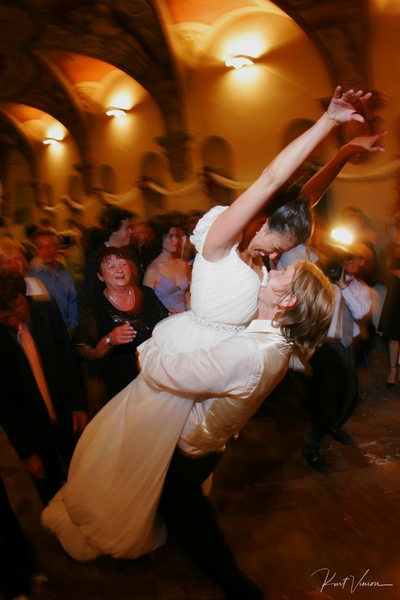 Do you work with the wedding planning agencies in Prague and can you recommend the best to us? Absolutely. Truth is the best agencies are usually the smaller ones who are more focused on quality than quantity - as every agency in Prague is focusing on the international market it can be quite tricky to know which ones truly have your best interest at heart. As an independent photographer I made the decision to stop being represented by Prague wedding planning agencies many years ago when I was told in no uncertain terms that I must pay a commission (anywhere from 15-30% pre tax) to be a part of their team. As one agency stated: 'if you do not pay another photographer will...' If an agency has such little respect for their team members and are squeezing them this much - it is an agency that I really do not wish to be a part of. This is why the best wedding photographers in Prague are NOT represented by many of these big agencies. Will you take some special portraits of the two of us? Absolutely otherwise chances are you would not be interested in hiring me. As ones wedding day can be so over choreographed, I believe it is best to set aside two or three times during the day and the evening to step away and make the best of the locations and the changing light. All couples enjoy these times alone and having a relaxes stress free session is always encouraged as for many couples this is the only private time they will have together until their evening is over. So feel free to use me as your excuse to get away and enjoy some private time either with your photographer or even alone. Within 5 - business days we always try to send out 2-3 images so that you can send to your family & friends and or post on-line. Within 2-4 weeks we try to have your online gallery ready to view and you can decide whom to give out the password too. The benefit of having a professional photographer is that I have the equipment and the experience to ensure you have beautiful photos regardless of the weather. So no worries, you are really in good hands. Sports Photographer of the Year award. 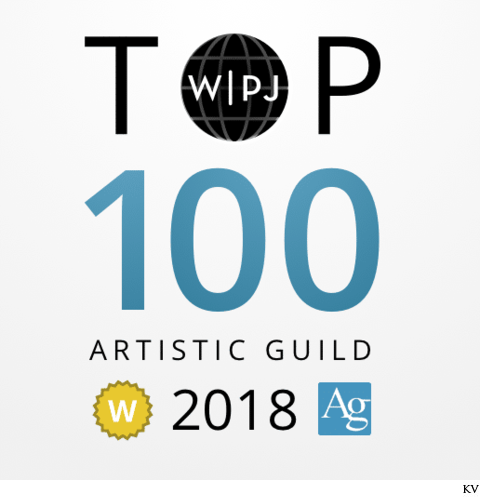 Additionally, I have won awards in the WPJA but the reality is awards mean very little if you do not feel anything when you are viewing my images. It is not good enough to simply take a picture, one must be able to convey beautifully and honestly how it felt at that moment in time. This is very hard to do as a successful photographer and one that I do no matter what the subject is. being told by a lovely lady who runs an orphanage in Kiev that my reportage was the reason why Americans were visiting her and adopting children from her orphanage. Knowing that my work was able to make a difference in these children's lives is simply priceless and it humbles me to this day. There is absolutely no award that can ever top that. 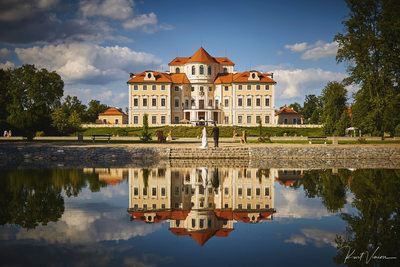 As I am based in Prague I have photographed weddings at nearly every venue as well as many castles and chateaus located throughout the Czech Republic. Additionally, I have photographed several high profile Czech weddings (a Champions League Football player), a member of the Getty (Oil, Museum, Getty Images) family for their incredible wedding in Rome as well as a member of the Karzai family (President of Afghanistan) also in Italy as well as VIP's from Asia and 3 different members on the Forbes 100 richest person list. I am truly humbled at some of these unbelievable weddings. Truth be told, the larger more prestigious the family or members the more work, stress and actual less quality time spent with the couple. I can honestly say that the most unforgettable weddings are the ones where I can spend quality time with the couples and really capture them intimately and quietly - something that is not possible at a 250 + person event. Even though I am quite happy photographing larger weddings - I am always very happy to stay at home in Prague and blow the minds of young couples who want to have a truly beautiful collection of images without blowing their budgets. The best thing about being a wedding & portrait photographer based in Prague is that it is a relatively easy place to travel from and as such I have been lucky enough to have captured destination weddings around Europe. I regularly work in: Ireland, N.Ireland, Germany, Czech Republic, Slovakia, Italy, Greece and even a wedding in Hong Kong at the prestigious Peninsula Hotel. If you are interested in having me as your destination wedding photographer please do not hesitate to contact me as I would enjoy hearing more about your wedding day or even pre weddings photo shoot. 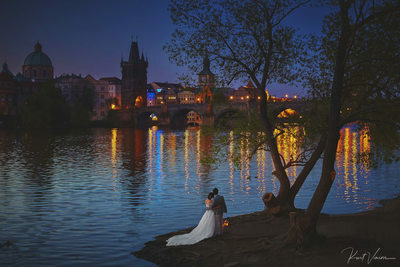 So how do you know if you have chosen the best wedding photographer in Prague for you? As a bride & groom you should meet your photographer in person (and if that is not possible Skype is a wonderful alternative) to evaluate their professionalism, their ability to understand your needs, and more importantly - how well you hit it off. Taking the time to read reviews, view complete galleries of their work (and not just the portfolio pieces) and if needed - hire them for an engagement session to understand how they work with you as a couple are also worthy ideas. The truth is quality photography that will stand the test of time is an investment and you should take the time to research who is best for you. If you chose Kurt Vinion as your wedding photographer; rest assured that I will provide only the highest standard on your behalf and create images for you and about you. If you do not wish to have your images in the public domain - I of all people can understand and respect this and there is a clause in the contract that you can opt out of. For those who are looking for an especially stylized portrait session (music, fashion, editorial, or magazine covers) - Kurt's background editorial ensures that your vision cam come to fruition. So no stress, no worries, no drama - just beautifully created images. If you need an experienced Prague based event photographer or corporate & PR photography I would be pleased to speak with you. As a native English speaker with over 20-years of event photography experience I can assemble a team to satisfy your every needs. As an American photographer who has been covering pre wedding portrait sessions since 2008, I am very happy to cover your pre wedding photo session in not only Prague but in many of Europe's best locations. I have a wonderful team of lighting assistants, hair & makeup, videographers as well as personal assistants who can capture your special session anywhere around the world. Wether you wish to have a more reportage natural light style, or a more magazine, lit portrait or even a combination of many styles we are here for you. Contact us today for our special dates where we will be crafting these special sessions around Europe. Additionally, for the year 2019 we will be focusing on creating more specialty themed pre wedding photo sessions for our very discerning VIP clients who are looking for something a bit more special.